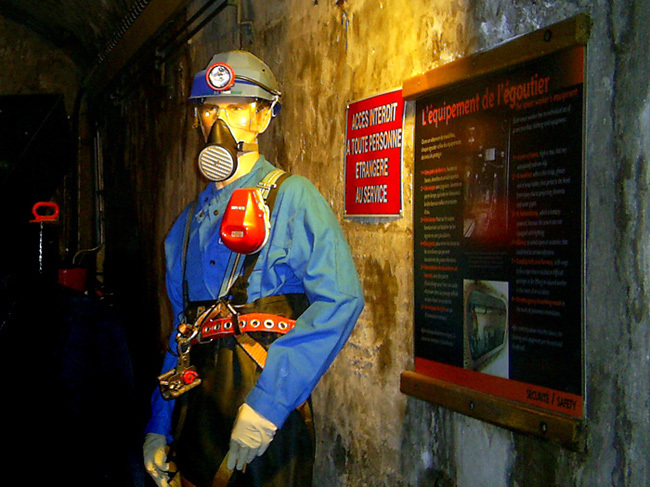 Yes, you can really take a tour of Paris' sewers! Yes, people really pay to do this. Yes, it's a little bit gross. And yes, it's fun! It's a dirty job, but somebody's gotta do it. 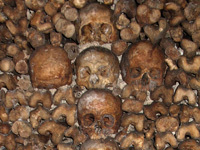 The Paris Sewer Museum lets you enjoy a leisurely afternoon stroll through real sewer tunnels underneath Paris. It's dark, damp, and quiet, and a great place to visit for folks who're interested in the history of engineering or those who just want to enjoy the bizarre, slightly spooky atmosphere of the place. The sewer tunnels are a lot wider and more spacious than you'd probably imagine; it's not at all claustrophobic in there, as the tunnels were constructed to accommodate some really big machinery. This all makes for some really neat ambience, and it's also a great place to cool off if you happen to be in Paris in the summer. Several museum-like attractions have been added throughout the tunnels you'll explore, explaining the history and construction of the sewer system, and they even mention a little about how Jean Valjean hid out down there in Les Misérables. But honestly I found myself ignoring a lot of the historical and scientific stuff and just enjoying the atmosphere of the sewer tunnels themselves, with all of their huge, fascinating machinery, like something out of a steampunk dream. One of the neatest things you get to see is a gigantic ball that was used to clean out sewer lines underneath the Seine, although it looks more like it should be chasing Indiana Jones through some ruins. You can explore the sewers on your own, or take a free guided tour. 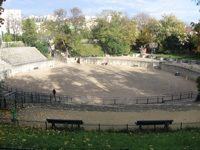 Most of the tours are in French, but English is available during summertime. Leave your good shoes at the hotel when you're visiting the sewers; while you certainly won't be wading through deep puddles, the sections with dirt floors can be a little bit damp and muddy. Also, there's a warning posted at the beginning of the tour reminding guests to wash their hands after leaving! You don't really have to touch anything in the tunnels, but you may find yourself resting your hand on a railing or something. My germ phobia kept me very mindful of this, so I didn't touch a thing! You can bet I still washed my hands afterward. Take the Métro to the stop called Alma - Marceau (line 9). 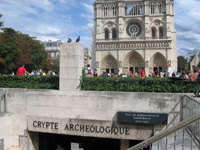 When you exit, you'll see that you're right across the street from the river Seine. You want to be on the other side of the river, so cross the street then walk over the big bridge that's right in front of you (the Pont de l'Alma). Enjoy the view of the Eiffel Tower on your right! As you reach the other side of the bridge, look to the left and you'll see a narrow park-like area with trees. You'll see a small white booth with a wide roof; that's the ticket booth for the sewer museum. If you're not taking the Métro, just find the bridge called the Pont de l'Alma and look for the ticket booth near the South-East corner of the bridge. There's also an RER (regional rail) stop that's even closer to the museum (the station called Pont de l'Alma) but I personally don't find the RER very practical for getting to things in central Paris, so I don't recommend it. Last time I checked, the Musée des Égouts de Paris was open every day but Thursday and Friday; weird! Be sure to check their website for hours and prices. Tell Jean Valjean I said hey!